A round-up of what we got up to over Easter. Today was a craft day as we had been set some Easter challenges by nursery. 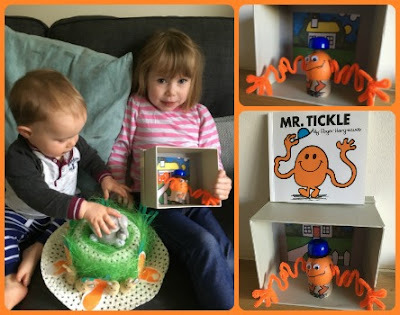 We needed to make an Easter bonnet for Baby R and decorate an egg for Little Miss A. Both involved a lot of orange paint and the result of our orange footprints was Little Miss A becoming covered in paint and needing a bath! As we were starting to get in the mood for Easter, we also made some chocolate Easter nest cakes too! Has to be done! 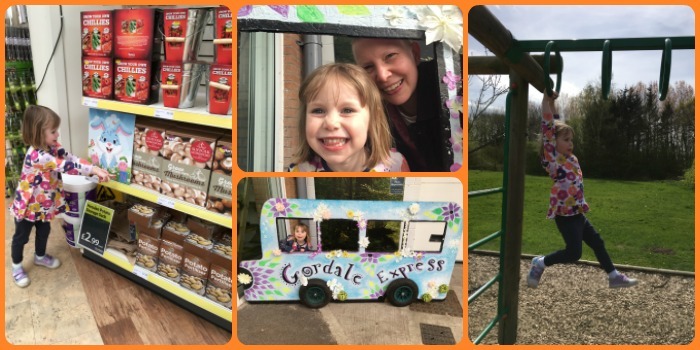 Our first Easter Hunt of the week, we visited Gordale Garden Centre in Wirral to do their Spring Trail. We found that they had a really fab play area so spent all afternoon at the centre and will definitely be returning. The kids took their bonnet and decorated egg into nursery. They didn't win the competitions but I'm pretty chuffed with our efforts. Easter Hunt number 2 today as at the end of our usual Thursday playgroup there was an Easter Egg Hunt. 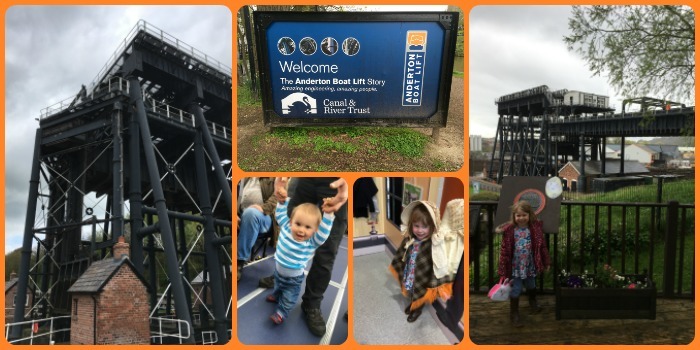 Mr MoaB was off work so we had a day out at Anderton Boat Lift. We decided to do the Lift and the River Cruise which we really enjoyed. 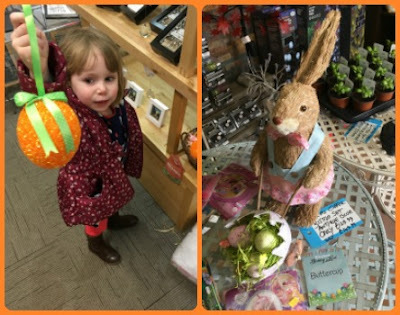 Little Miss A did Easter Hunt number 3 and had fun running around the museum and grounds finding the bunnies. A day off from Easter things today. Our plans were scuppered as we couldn't go out in the car when we realised Mr MoaB had the car seat in his car! Not one, not two but three Easter Hunts today! 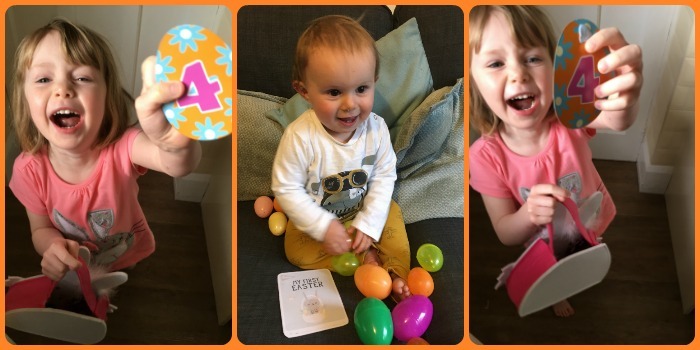 We started with a egg hunt at home before heading out to do the Bunny Hunt at Blakemere Village. In the afternoon some friends from where we used to live visited and I set up another quick egg hunt for the kids. Today was all about carrying on our Easter family tradition of playing egg games. Before we went out we decorated our hard boiled eggs. Mine was a self portrait and Little Miss A kept reminding me not to draw any hair on it as I haven't got any!! After lunch, we went to Runcorn Hill Park and found a good spot to have our egg competitions. First up was some egg & spoon races, then egg rolling, finishing with egg smashing before eating the eggs. I love this family tradition that we've started. Next year Baby R will be able to get much more involved which will be great. 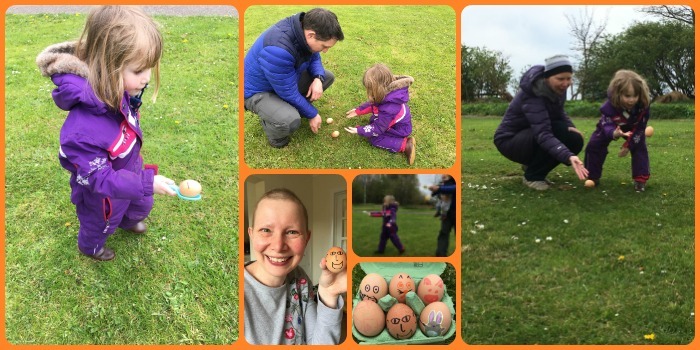 It was a really nice week of Easter activities with a grand total of 6 Easter Hunts and our annual egg games. We have enough chocolate to last us a month - what a shame! Hope you had fun whatever you go up to!? !